NEW YORK—MARCH 21, 2014—The Metastatic Breast Cancer Network (MBCN) is pleased to announce it will hold its 8th Annual National Conference September 19-21, 2014 in conjunction with the UNC Lineberger Comprehensive Cancer Center in Chapel Hill, North Carolina. The event opens with a reception on Friday, Sept. 19. The main conference follows on Saturday, Sept. 20 with additional networking opportunities and breakout sessions on the morning of Sunday, Sept. 21. The conference is open to people living with metastatic breast cancer as well as their spouses, partners, friends and caregivers. Limited scholarships are available to those who have financial need. Complete details, including registration information will be posted on www.MBCN.org when available. MBCN held its first conference at Memorial Sloan-Kettering Cancer Center in 2006. Subsequent conferences have been held at M.D. Anderson, Dana-Farber Cancer Institute, Indiana University’s Simon Cancer Center, Johns Hopkins Medicine and Northwestern Medical Center. Presentations from past conferences can be viewed here. MBCN is a national, independent, nonprofit, patient-led advocacy organization dedicated to educating and empowering women and men living with metastatic breast cancer. MBCN was founded in 2004 by Jane Soyer and Nina Schulman and continues to advocate on behalf of the unique needs of all who are living with this disease. See www.mbcn.com. TELL YOUR FRIENDS! Please print out this announcement and take it to your doctor’s office, cancer center, support group. Post it on your Facebook page and send to your friends. IV is the loneliest number? New blogger who we think is worth the read! Hey, Breast Cancer? I Know Where You Live. In the world of breast cancer, metastasis is a lonely business. Of approximately 2.8 million Americans living with breast cancer, 155,000 – less than 6 percent – have the metastatic variety, or Stage IV, which means the cancer has spread to distant organs such as bones, liver, lungs or brain. The Susan G. Komen Foundation started in 1982. 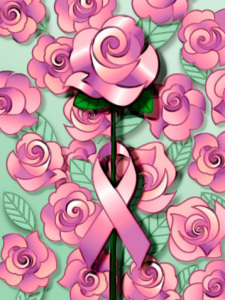 The National Breast Cancer Association was founded in 1991. But the Metastatic Breast Cancer Network only began in 2004 – just 10 years ago! Thank goodness MBCN founders Jane Soyer and Nina Schulman came along when they did. Kathy died on Valentine’s Day–if we had to lose her, we are glad it is on a day filled with love and kind thoughts–just like Kathy herself. Kathy truly was a sweetheart–we will miss her soft Southern accent and her invariable “y’all.” But Kathy did not merely use “you all” as a figure of speech–it was more of a mission statement. Her heart was truly open to others. Kathy, accompanied by her young daughter, Addie, was a cheerful and comforting presence at conferences, a wonderful representative for MBCN. She was a passionate advocate and instrumental in garnering support for the 2009 proclamation that established October 13th as National Metastatic Breast Cancer Awareness Day. “Inspiration” is a word that is often generously and carelessly applied. But there is no better embodiment of inspiration than Kathy Coursey-Boes. It was not in her nature to complain or wallow in despair or pity. She dealt with cancer in a brisk, matter-of-fact way. Whatever the complication or physical affront, she met it and moved on–always anchored in her deep and unassailable faith. Our sincere and heartfelt condolences to Kathy’s family and friends. Please know that we will always remember her. Kathy’s bright spirit will live on in all that we do. You are currently browsing the MBCNbuzz blog archives for March, 2014.